Here is the book Dana has. Everything you need to know, very well written. 383 pages. Billy, Mary just adds about an 1/8 of a cup or so of fruit to each 16 bottle. Ginger is another good thing to add. She adds it after the 10th - 14th day and then puts the bottles in the fridge. We don’t do the second fermentation be I want as little alcohol in there as possible because I quit drinking over 31 years ago. The A at the end stands for Ale or top fermenting yeast culture brewed beer, or Ol in old Slacvic. This is most common natural wild yeast so allso the oldest. And yes, we do have some great breweryes here, althugh l must say untill recently Lagers dominated our part of the world. Never understood why, Ales are so much better. About the taste, its all a delicate manner. A common everyday farm drink is apple wine. Some start to grimase just looking at this low alcoholic sour-bitter drink, but once you get used to it, it becomes your favourite drink. 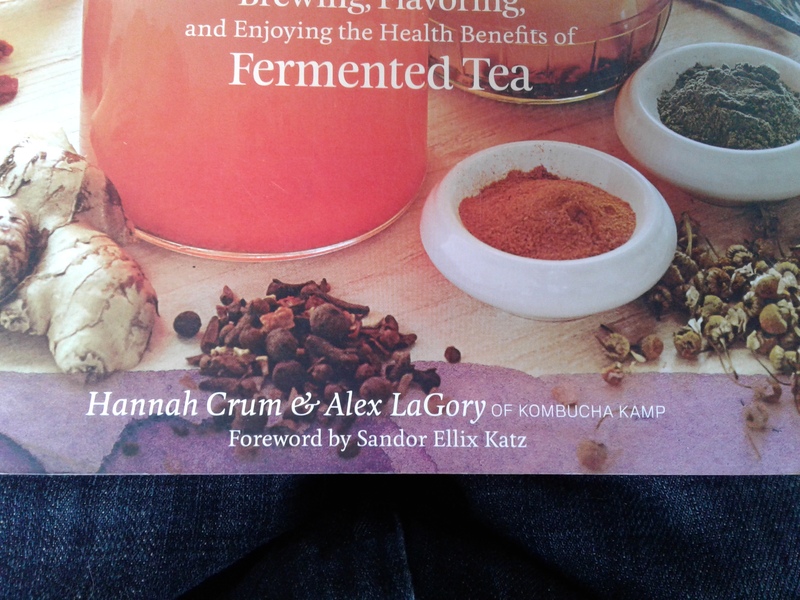 Grandfather used to make fruit tea kombucha. Good stuff althugh l liked it young, l cand stand the smell of acetic acid. Ha, l gave a megasized kombucha pad in our vinegar barrel. About a foot and a half dia. Hmm partialy boiling birch sap might be a good idea thanks! We used to collect the sap for straight forward drinking too as kids. Althugh we didnt drill holes but cut the twigs and tight a plastic bag around. Bill, I have to congratulate you on your 31 years abstinence from alcohol. I came to the same realization and am now about 34 years sober. Never regretted my decision for a millisecond, for the man in the mirror is my friend now! This is true, beer has stood up to the test of time- keep me posted if you make some birch-beverage, as now I am curious how it is! I usually make some hard apple cider every year, and I do very much enjoy that. Oregon is overrun with non-native blackberry vines, which are a nightmare for a forester, but do furnish us with an unlimited quantity of fruit. I have found it makes a very nice addition to a sparkling apple cider. 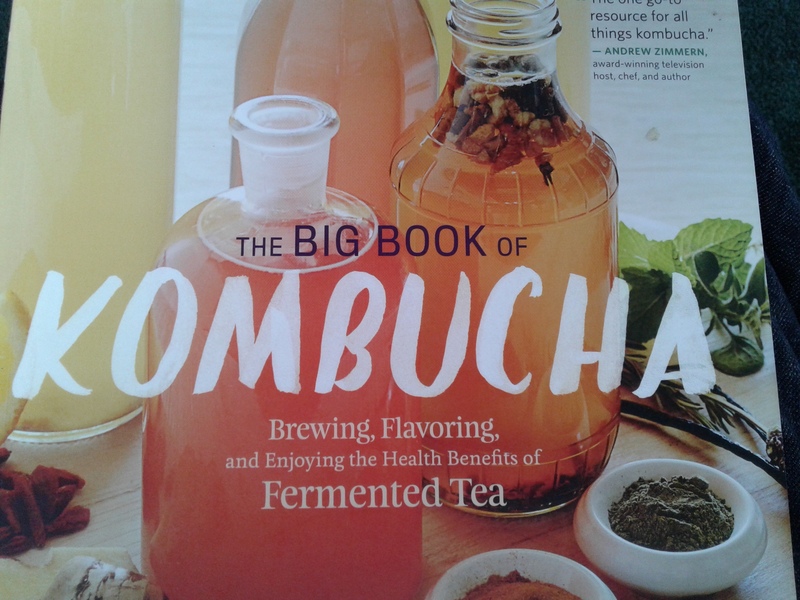 I never did quite get a taste for kombucha, but it was all the rage here for a while. Ha, wuld you belive me l have a wineyard of those “wild” grapes l like wine made out of them as it has less alcohol and mainly grow them becouse they require 0 chemical treatment of the plant. The wine is called stalion blood here, looks like ink when pressed. You are spot on, the early voriety called Clinton is allways pressed together with sweet apples and is usualy ready to drink on picking day of the later rapeing worietys. Tasty too. You have me thinking now. I have a area which is over grown with wild grapes. Well I think they are Concord grapes but I really have no idea how they got into the edge of the field in the brush that is there. I have made jelly out of them but never tried wine. Lots of black cherries here to those make great jelly. It really is amazing how much fruit is around if you know what to look for. Hopefully your neck is ok. Terrible run of luck you’ve had. The video sure underlines the importance of maintaining a safe following distance, the driver was far too close, no safety margin. It seems people there have particularly bad driving habits? My first thought when you said you got hit was I hope the gasifier didn’t fall out on the hood of the other car. Glad your ok. I know in Tiawan the driving was crazy. The locals told us we could drive if we wanted and we all said no way. Craaap! You could kind of see that coming. Thanks for posting, although another cry for an un-happy button here. I am glad for no serious injuries, sheet metal and plastic can be replaced. Except for the keep-to-left traffic pattern, looks like any urban through-way in the larger cities of the USA. I ran both videos at the same time and watch the seconds for the car behind you . He must have be looking down and not paying close attention. For the speed that he was traveling he did not have a 3 second delay time following behind you. I agree with steve, until the electric car is powered by solar the juice is still coming from somewhere, they are in denial. I save at least a cord of wood extra just for this north wind we are getting. Yup, wood is the only solar panel that clean’s the air pollution. Without the need of artificial to build energyproducers. And now we know why the Big Money hungry boys do not want you to burn wood. Because it is every where and cheap. They have been trying to stop it with legislation through bribery oh I mean lobbying and false documentation of EPA air quality. Without the need of artificial to build energyproducers. I don’t know if you have noticed, but anytime a government can take away from the working people, small business owners, other taxpayers, they will. And, give the ill-gotten gain to themselves or some one on their good old boy list. That is one reason we should never give up on these simple rights, the right to be warm, the right to provide your own transportation, the right to use scrap in a new or time-tested way to better ourselves and thereby the whole community.The right to see for ourselves a better path to prosperity than that mapped out by bureaucrats. The right to civil disobedience for a good cause. Too political now, must drink my coffee, shut up, and get back to work! Another example of a chunker with a low power motor from a manure cart reducer.